This very cool candle holder was found at the thrift store. I love it and I use it as a hook in my bathroom. 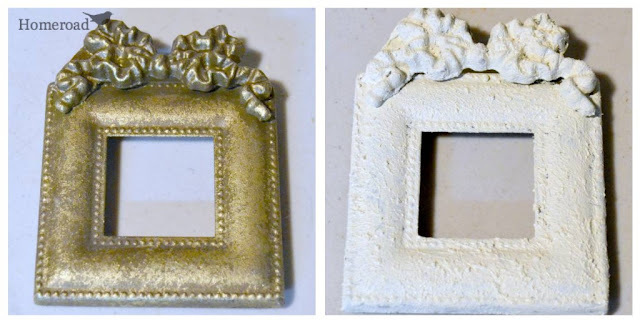 this finish, the thrift store possibilities would be endless! 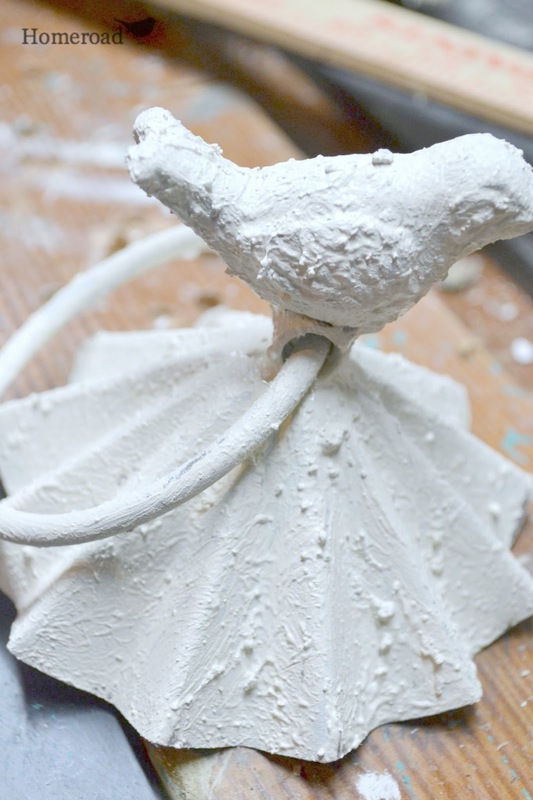 use white paint and add a ton of un-sanded grout to the paint. I used a creamy white flat latex paint. 1 part un-sanded grout to 2 parts paint. You will have to experiment with the paint you are choosing to use. The trick here is to dab on the paint, don't drag the brush. The first experiment was on a piece from an old lantern. it is really sticking well! If you don't want the chunks you can knock them off when wet. onto the frame I was able to keep a lot of the chunky look. 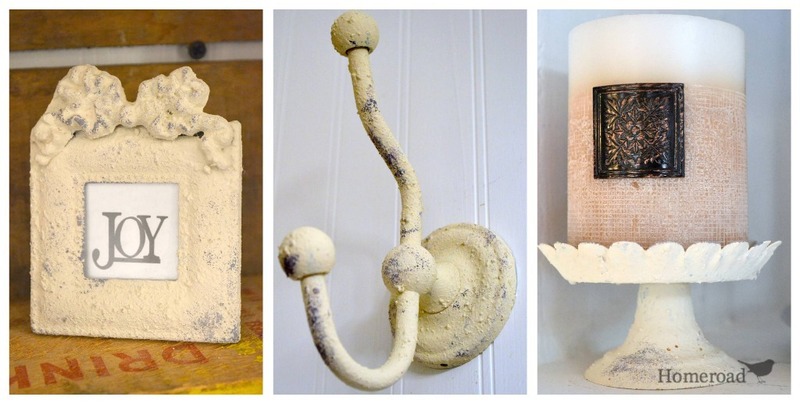 Then I tried it on an old rusty candle holder. This is the perfect example where rust is not a good thing. was on a hook that I removed from my bathroom. I was tired of that very shiny chrome look and I was thrilled to see that this hook could look so much better with a Shabby Chic patina. I was a little worried that since the original finish was so shiny and a hook is used so much, that the paint might scrape off. 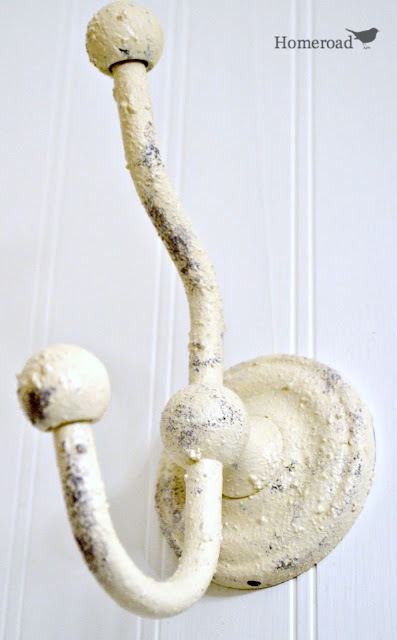 I gave the hook a finishing coat of Polycrylic which sealed it completely and gave it a very hard finish. * update- The shabby chic paint on the hook is still going strong 2 years later! My paint color choice was a little more cream than white but imagine the different colors you could use for this. old brass? Old light fixtures? Shabby Chic finish that looks great! Great way to get the look you were going for....it worked! Nice job. I like this idea, Susan. I will have to try it! Great look on all of the items. Did you sand a bit on the bathroom hook? Thanks for sharing your technique. Great idea...so many options with that. 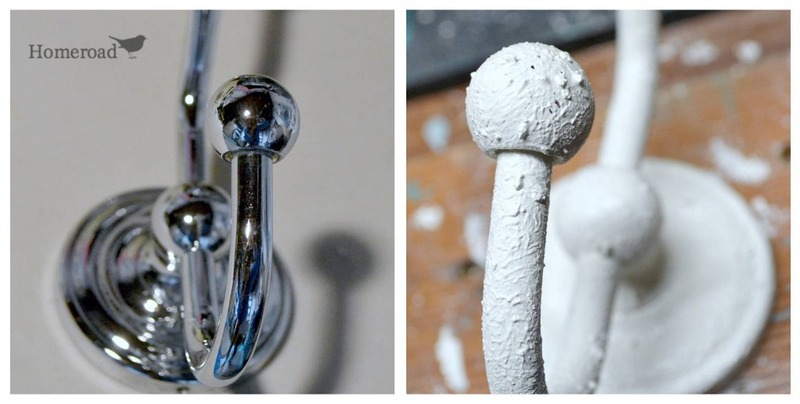 The transformation of the silver bath hook is amazing. wow--what a transformation on that hook (my favorite) Super job Susan! great job! The ReStore had some unsanded grout, which I bought, not remembering what it was supposed to be for. This must be the reason! Let me make sure I understand the recipe, say 1 cup of unsanded grout to 3 cups of paint?? Yes, that should work. I didn't use a cup, I used about 1/4 cup but that is the ratio. It will depend on the paint you use too. 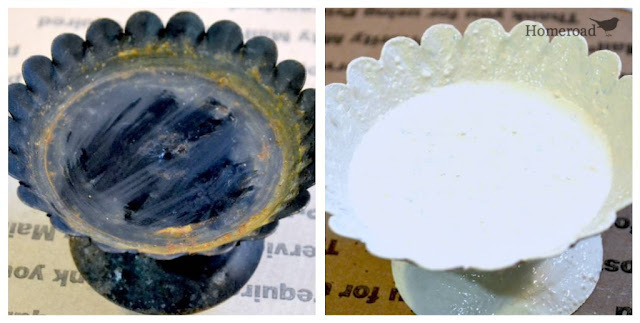 You might try just adding the unsanded grout into the paint until you reach a cement like consistency.